Pet and breeding kittens sometimes available. We specialise in vans and bi-colours, working with top international lines. We do NOT breed solid white, Exotics (Shorthair Persians),Himalayan (Colour Points), or any other solid colour such as Red, Cream, Black or Blue. However, we do breed BiColours (this is any colour with white). We do NOT breed for Christmas, birthdays, or in 2 weeks time. We have a small select program, and do not have many litters a year. We want our babies to go to strictly indoor homes only! You must be willing to take care of our coat, and care for our eyes daily. Pets are forever, even when you move house. 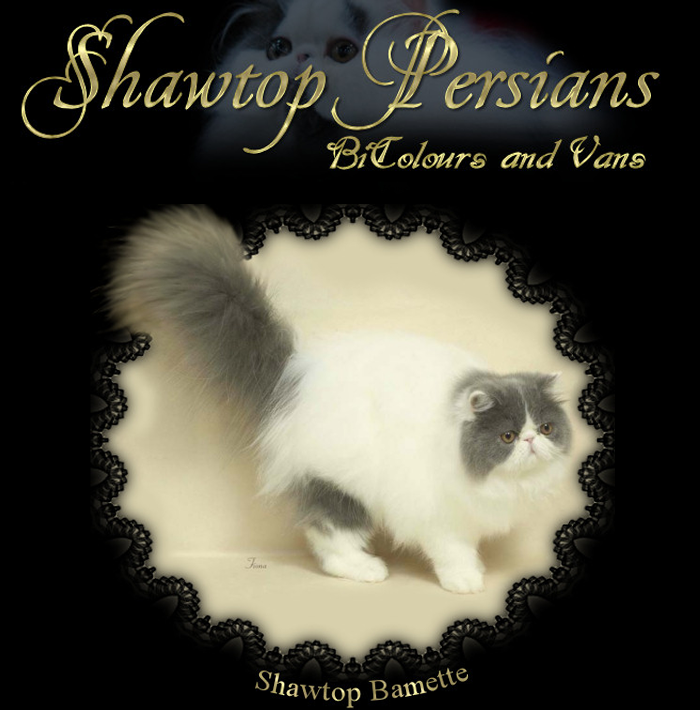 Shawtop Persians - Home of 2008, 2009, 2011 and 2013 National Exhibit.